First mentioned in annals in c. III 1300, but had apparently existed for some considerable time before this. An ancient colony in Eriador shared by Hobbits and Men. Far older than the Shire, it was from Bree that the two Fallohides, Marcho and Blanco, set out to found that land. Strictly speaking, brú refers not to a hill itself, but to some feature associated with it (especially the top, or a cliff or bank).  The word is more familiar in its Scots form, still in use today, which is brae. 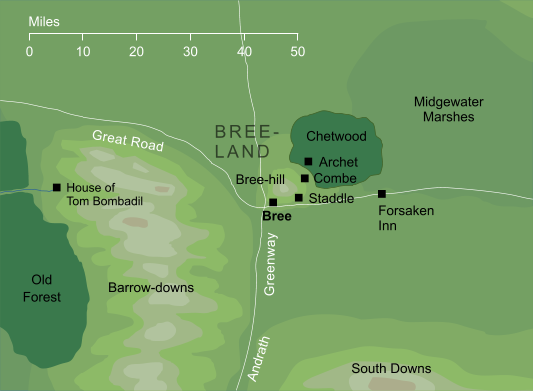 Apart from Bree itself, the locations of the villages within the Bree-land are not mapped directly. The locations shown here are based on descriptions in the text.